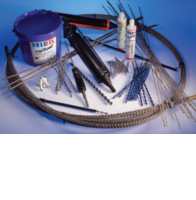 Innovative masonry repairs and engineered fastening solutions. 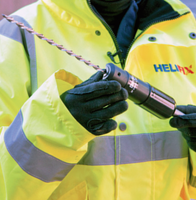 Helifix is the market leader in the design and manufacture of specialty helical wall tie anchors and masonry repair systems. 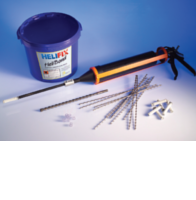 The vast range of Helifix products is based on Helifix` own unique helical design. 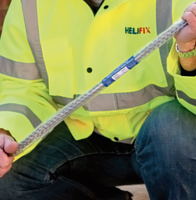 Helifix has developed a range of high performance stainless steel ties, fixings and masonry repair and reinforcement systems that combine the required strength with flexibility, durability and great holding power in all commonly used building materials. 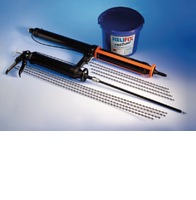 Over the last 30 years, Helifix has developed a comprehensive range of versatile, purpose-designed, retrofit products that individually or in combination, are able to cost-effectively solve virtually all commonly occurring problems of structural failure in bricks, blocks, stone, concrete, timber and local materials. The Helibeam System uses pairs of long HeliBars bonded into mortar to form deep masonry beams that reinforce and stabilize existing masonry while redistributing the structural loads. 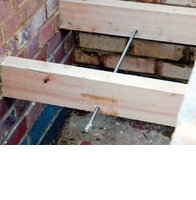 BowTie is a retrofit stainless steel tie used to stabilize bowing / bulging walls, by securing and anchoring them into internal floor and ceiling joists. 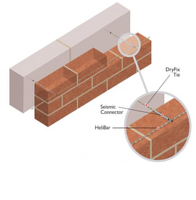 CemTie is a versatile, fully grouted, retrofit tie used to stabilize all forms of solid masonry, secure failed lintels and brick rings, reconnecting separated internal and external building walls and repair parapets. 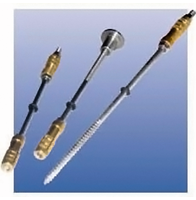 BowTie HD retrofit stainless steel helical tie used to stabilize bowing / bulging walls, securing and anchoring them into internal floor joist sides. 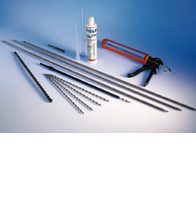 CemenTie is a remedial wall tie system designed for use with thin wall and hollow block far wythes and in buildings over four storys high. 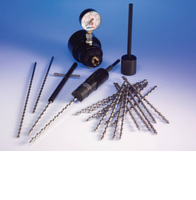 DryFix is slim, versatile and rapidly installed mechanical pinning and retrofit tying system that requires no resin, grout or mechanical expansion. 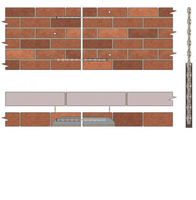 The DryFix Terracotta Tie secures fragile terracotta facings and delicate decorations and features which have become loose or are suffering from stress fractures. 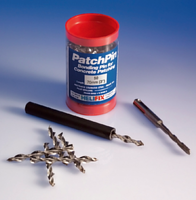 Stucco Pin is a stainless steel helical pin that easily and reliably secures separated stucco. 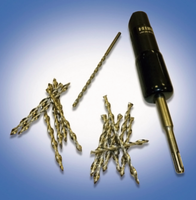 DryFix Asymmetric Tie is a dry mechanical pinning and remedial tying system that secures relatively soft outer leaf material to harder inner leaf material without stressing or fracturing fragile substrates. 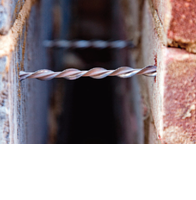 HeliBar is a helical stainless steel reinforcing bar, with substantial tensile properties, used for strengthening and stabilizing masonry in both new build and retrofit situations. 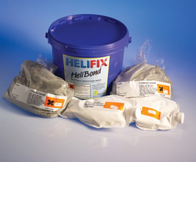 Helifix' construction chemicals are available both in cartridges and self-mix bulk packs and are suitable for a variety of construction and industrial applications. 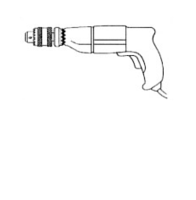 In addition, a selection of hand operated and pneumatic applicator guns is also available. 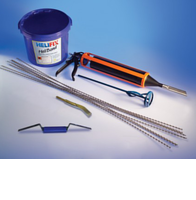 HeliBond is an injectable, non-shrink, thixotropic, cementitious grout that rapidly develops compressive strength.